Who doesn’t love cheese? Cheese has been around for literally centuries, dating back over 4,000 years in existence. No one is quite sure how it originated. And people today aren’t all that familiar with the modern way of making cheese. Read on to learn the science behind aging cheese. The process of aging cheese is not something that happens quickly. In fact, to get the cheese that you eat on your pizza takes quite a long time to process. But no matter what type of cheese you fancy, it all starts off relatively the same way. It starts with the souring of milk. And while that may not sound appealing to you, the process continues further, so no worries. If you didn’t know, milk and all its properties are imperative for cheese making. The milk can come from a goat or a cow, depending on the type of cheese you’re after. Lactic acid bacteria transforms the sugar in milk (lactose) into lactic acid. Rennet has enzymes that convert the proteins in milk (specifically, caseinogen) into a gel-like substance known as casein. The casein takes out all of the fat and calcium from the milk. The two of these properties combine to form what we know as a curdle. Think of this first step in the process as taking out all the water within a gallon of milk. The end result is curd, and it will float in the liquid whey. This step in the process depends on how the curds and whey settle. They’ll need to soak until the curds become the right consistency. What’s the correct consistency? A person will know when the process is done when they’re able to mold the cheese. The whey is drained from the mixture, and then salt is added for taste. At this point, you would be able to eat the cheese, but it’s not that close to being done. There are still other processes that have to take place before it’s perfectly aged. The next step in aging cheese is to use a cheese press to mold it. The cheese is pressed lightly at first, only enough to remove the excess whey. Once the excess whey has been removed, then it can be pressed firmly. This firm pressing helps solidify the cheese appropriately. The pressing process can take several minutes because it requires the cheesemaker to flip the curds several times as it’s being pressed. After the cheese has been molded, it needs to be air dried before it’s ready for the aging process. Cheese is often left at room temperature to dry out on a wooden board or cheese board. It’s generally covered with a type of muslin cloth that protects the cheese during the process. It’s often flipped periodically to make sure that it’s drying evenly on both sides of the cheese. One more step is necessary before the aging process begins. The cheesemakers must prepare the cheese before it’s set in its storage place for several weeks. Often wax is used to prepare the cheese for aging. It can be dipped or applied by a brush. The wax prevents moisture from entering the cheese and tampering with taste and shape. Using oil to preserve the cheese is another easy option. Any type of food oil will work, but many cheesemakers use olive oil. If oil is applied it must be reapplied throughout the aging process. Once the cheese is molded, dried and prepped, it’s then time to go through the aging process. Aging cheese takes can take several weeks to months, depending on the type of cheese that’s being made. Generally, all cheeses are kept in a cool, dark place during this period of aging cheese. Swiss cheese – This type of cheese sits in a cool place for several weeks. After it’s cooled, it’s then placed in a warmer area, around 70 degrees Fahrenheit. It’s at this point that carbon dioxide bubbles occur in the cheese, leaving the holes that this cheese is so famous for. Sharp cheddar cheese – Sharp cheddar cheese takes at least a full year to age in a cool place. A cheesemaker constantly has to regulate what is known as the “cave.” This is the cool place that they often store the aging cheese. It can be a refrigerator or basement or cellar. Dark, cool places are ideal for aging cheese. Humidity has to be controlled to prevent mold from accumulating on the cheese during the aging process. Because the main ingredient in cheese (milk) is gathered from animals, the taste of cheese is affected by many factors. The type of cow or goat the milk comes from makes a huge difference. Whether or not they’re fed by grass or fed by a controlled industrial diet can also make an effect. The environment can also affect the taste of cheese. Whether or not cheesemakers are able to use pasteurized milk as opposed to natural milk. Different countries have varying requirements, which affects how cheeses from different countries can vary in taste. For example, the French continue the practice of using fresh, natural milk. Cheese is a tasty treat that nearly everyone enjoys eating. However, it’s a long, drawn-out process to reach the final result. As you can see, it’s a scientific process that not everyone can achieve. It takes a lot of practice and patience to get the best tasting cheeses. So the next time you eat a piece of cheese, thank the cheesemakers who spent weeks creating it. Interested in testing out a variety of delicious cheeses? 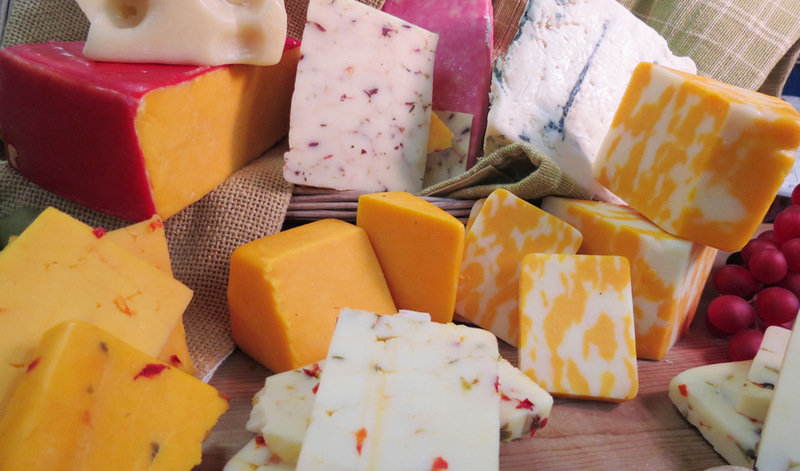 Take a look at our huge selection of cheeses to see which suits your taste! 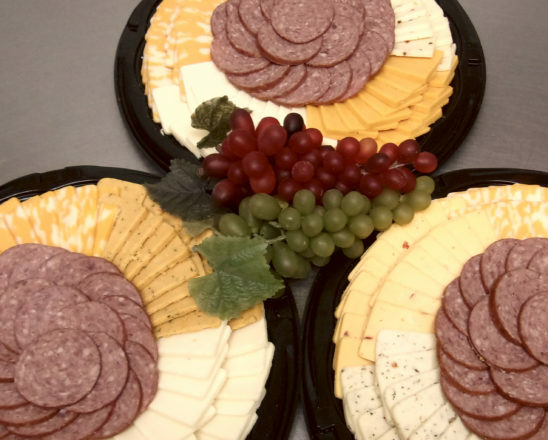 A meat and cheese platter is an easy way to impress your guests. Learn how to put together a great cheese board that everyone will love.